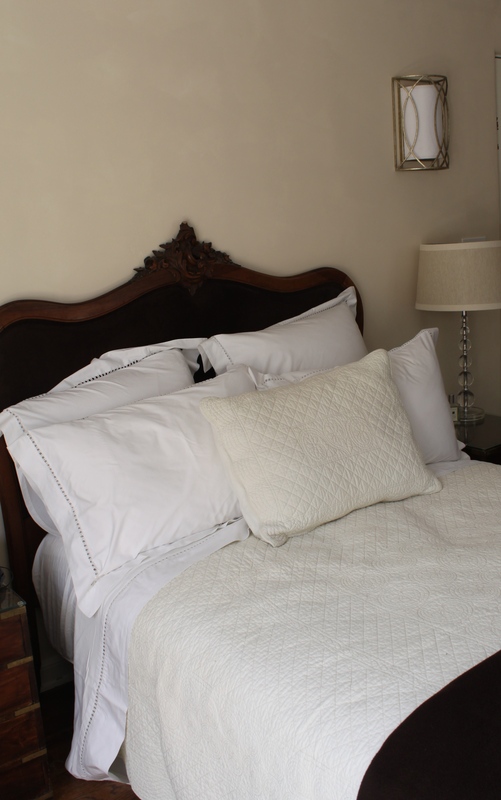 What makes the ideal guest room? We are expecting a visit from Loveley Man’s’s eldest daughter and her family this week so this question is very much on my mind. For me, the perfect room combines practicality with comfort, and I take inspiration from some of the nicer hotels I have stayed in. First is the bed. I’m a bit of a princess when it comes to sleeping, so I add a down topper to the mattress. 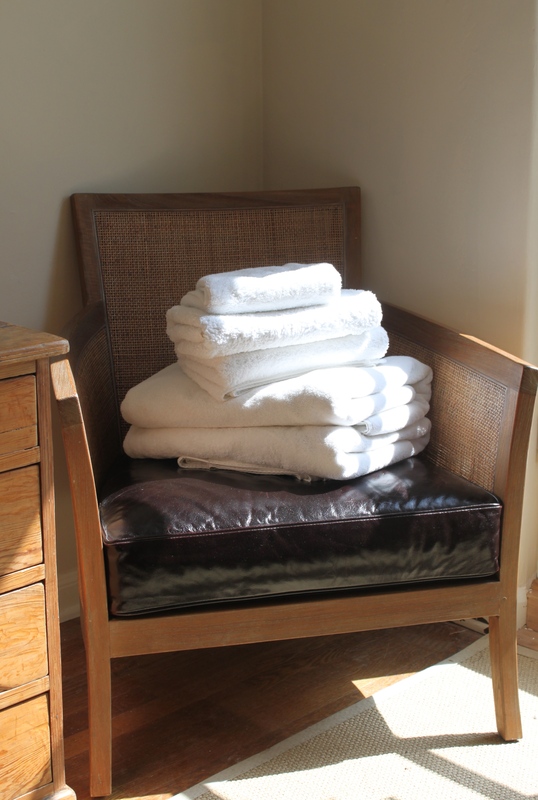 Good quality linens that feel gorgeous on the skin. A pretty spread. Plenty of pillows for comfort and support. And an extra blanket for snuggling – rarely needed in California I know, but so cosy! Closet space and hangers. 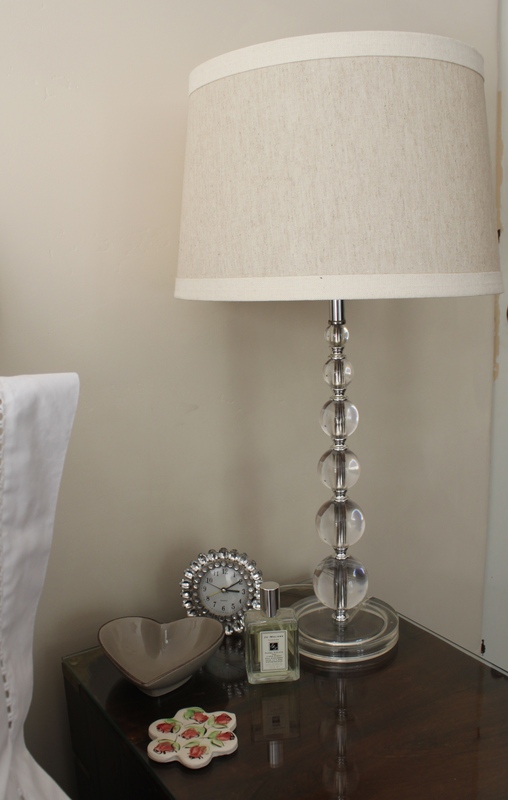 Guests may be only staying overnight, but they’ll probably need to hang SOMETHING. My parents always complained that the guest rooms in our English house had no hanging space so I ended up putting a bar and hangers on the back of the bedroom door. Better than nothing. The house here has built-in closets in every bedroom (got to love America!) so I just need to add hangers. 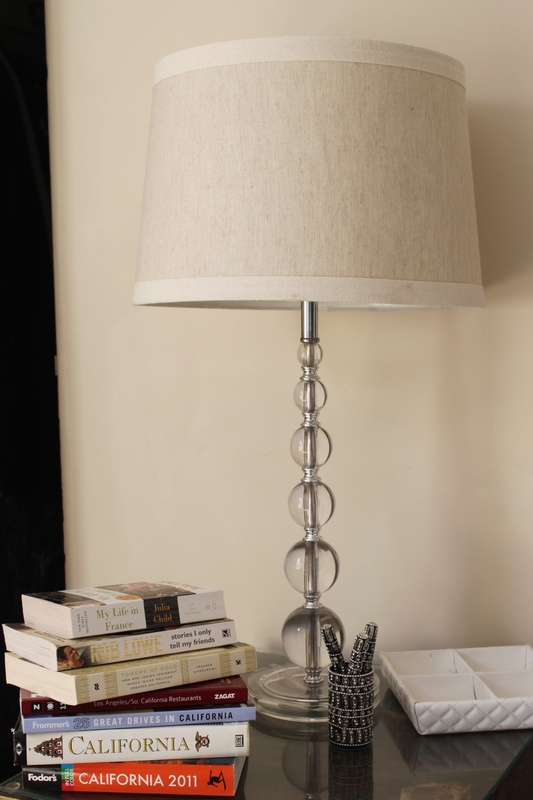 A night stand with good lighting for reading. Storage for loose items…I use pretty plates. Adequate (and easily found) sockets/outlets. This is my biggest beef with a lot of hotel rooms – where do you plug in your phone or camera charger? That said, I once stayed in a hotel which had sockets built into the bases of its table lamps. Genius! At home I make do with power strips or charging butlers. I also stash spare phone leads in the drawer of the nightstand in case a guest forgets theirs. Lots of towels. 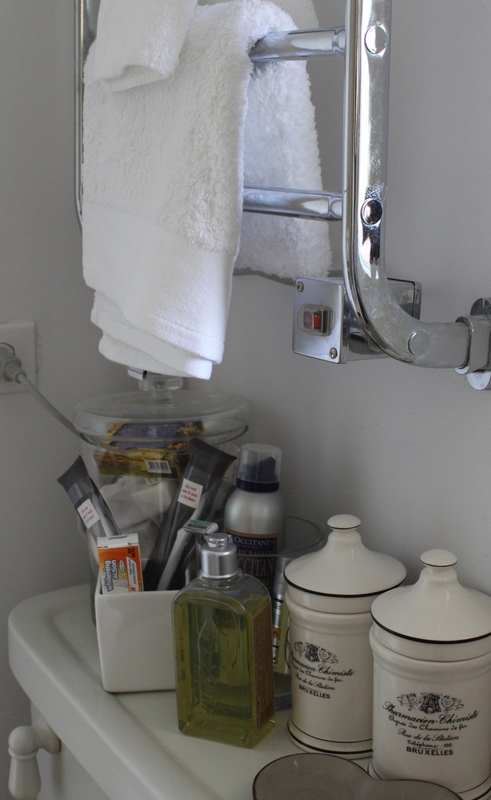 I like to wrap myself in a bath sheet when I’m done in the bath or shower but I also add smaller towels and face cloths, prominently displayed. Spare toilet rolls. There’s nothing more embarrassing than having to ask..! I learned from experience and keep a basket by every toilet in the house. I also make sure I have spare toothbrushes, razors etc. available, just in case. Lotions and potions. 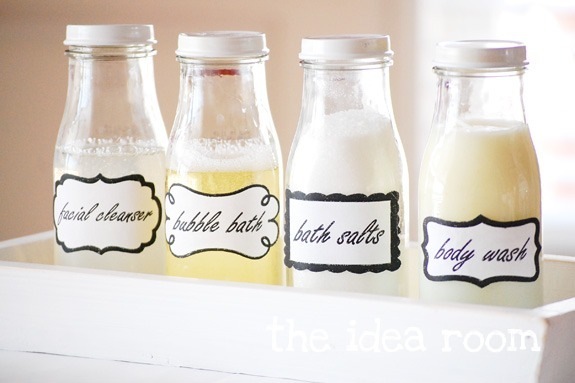 Shampoo, conditioner, shower gel, soap…you get the idea. I like L’Occitane’s Verveine (Verbena) range, which smells so refreshing in the morning, and is available in travel sizes. 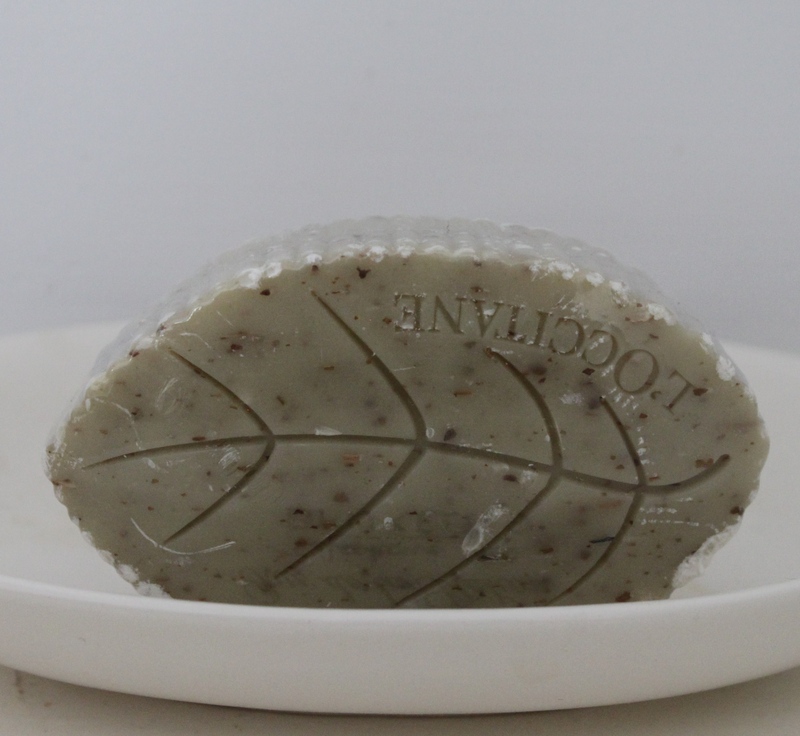 And the leaf-shaped guest soaps are so cute! came with us from England. Midnight snacks! So nice not to have to wander around a strange house in the dark if you can’t sleep! 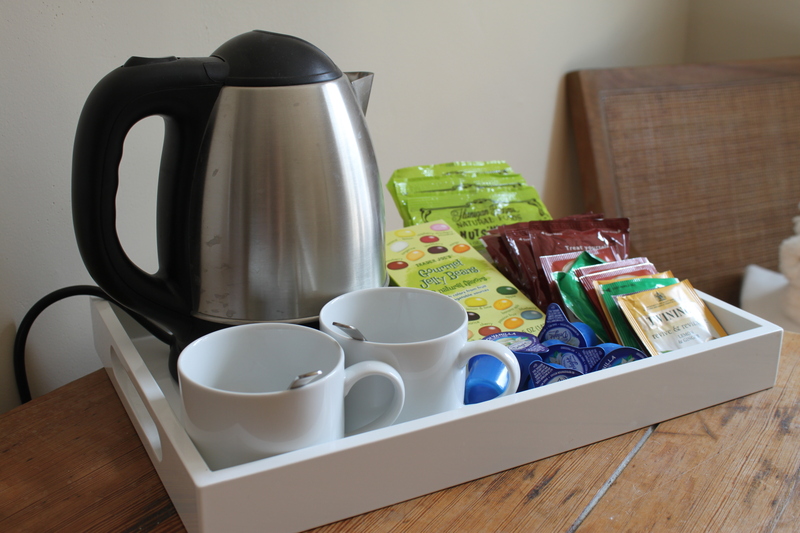 While we can’t run to guest mini-bars, I do provide a tray with an electric kettle, cups, and a choice of teas, coffee and hot chocolate, plus nibbles and a water carafe and glass. An iron. My everyday iron is one of those scary steam-generating types, so I have a spare for guests. I also have a dinky table-top ironing board from my dress-designing days that hangs in the guest closet, too. And books! I rarely travel without them, but it’s always nice to have some new reading matter. There are bookshelves in almost every room of our house but for guests I try to offer some favourite easy reads, plus a selection of local guides. 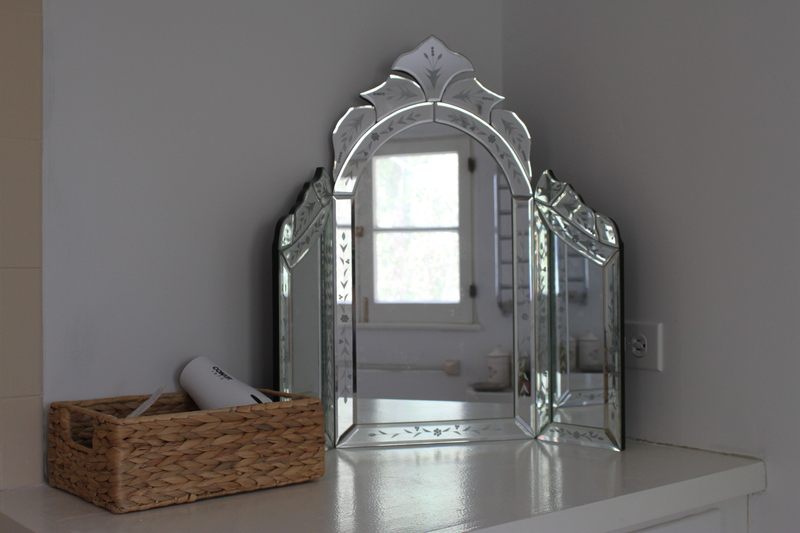 What would be in your ideal guest room?